Is this your first time facing criminal charges? Do you feel overwhelmed, alone, and vulnerable? 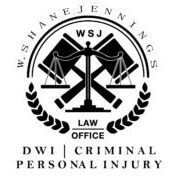 Before you speak with law enforcement, the prosecution, or any other person, get in touch with the Law Office of W. Shane Jennings. Unlike other parties, we have your best interests in mind. Our criminal defense attorney in New Mexico won’t ask you to face your upcoming challenges alone. When you confide in us, you can expect our team to keep the conversation private. Your rights and interests are our only concern. W. Shane Jennings is the qualified resource you want on your side. He is a member of the State Bar of New Mexico and the U.S. District Court of New Mexico. Throughout his years as an attorney, he has worked with all types of clients facing criminal charges. You won’t find a lawyer with stronger moral character than W. Shane Jennings. Call today to discuss your options moving forward. Schedule your initial consultation today to meet our attorney in New Mexico. You can reach us by calling 575-308-0308. The sooner you get in touch, the sooner we can begin building a strong defense for your case.